JCB today previews the world’s first skid steer and compact track loader with a telescopic boom. The JCB Teleskid is a revolutionary new product that can reach 60% further forward than any other skid steer on the market and – in an industry first – it is the only skid steer in the world that can dig below its chassis to an unparalleled depth of around one metre. 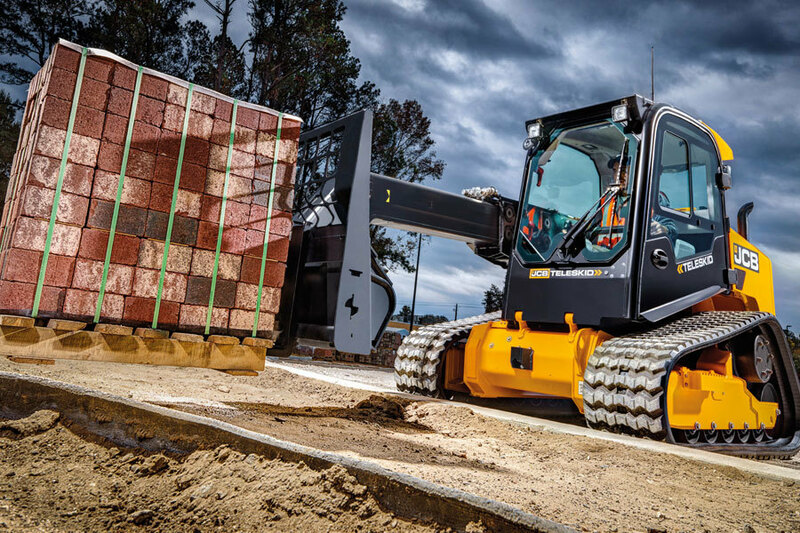 In addition, this innovative new machine can reach 8% higher than any other skid steer. JCB pioneered telescopic technology with the launch of the Loadall nearly 40 years ago and today it’s the biggest selling telescopic handler in the world. Nearly 25 years ago JCB also introduced another innovation: the industry’s first single-arm – or ‘Powerboom’ – skid steer, taking safety to new levels. Now the company has taken its drive for innovative product solutions a stage further by combining both technologies into one to produce the JCB Teleskid: a skid steer and track loader complete with a telescopic boom. 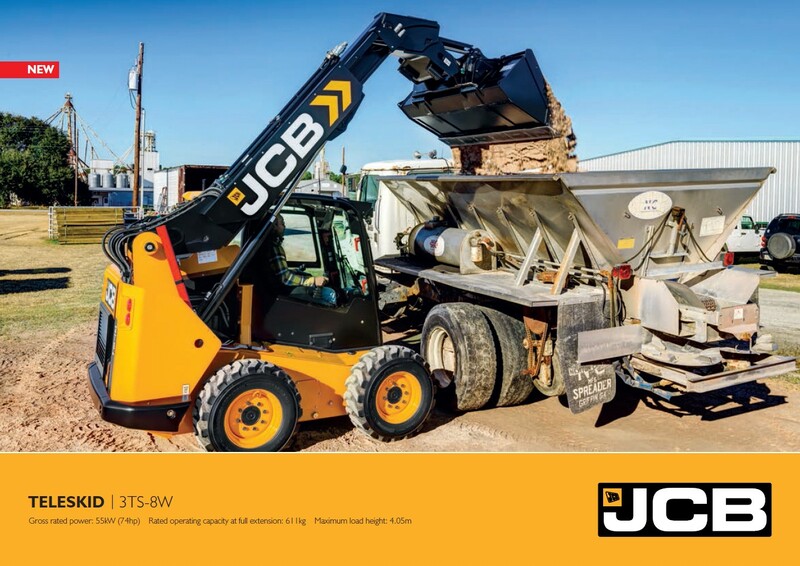 The JCB Teleskid has an unrivalled forward reach of 2.4 metres – making it 60% better than the nearest competitive machine. With a lift height of four metres, the JCB Teleskid can reach 8% higher than any other skid steer in the world. This brand new innovation receives its international debut for the construction industry at the Conexpo show in Las Vegas. The JCB Teleskid will be on the only skid steer on the market which is able to combine vertical and radial lift capability. A unique bucket-positioning levelling system allows the bucket level to be set and maintained throughout the boom’s range of movement. The JCB Teleskid will feature a fully enclosed cab that is 33 per cent larger than industry average, and JCB’s myCHOICE software, allowing control responsiveness and joystick sensitivity to be tailored to suit operator preferences. A 74hp/55kW JCB Ecomax engine will provide high torque at a low RPM and ensure compliance with Tier 4 Final / Stage IIIB emissions standards. Tracked and wheeled Teleskid models will be sold in North America, while European markets will be offered the wheeled variant which is most popular in that region. To view the Teleskid brochure, click here or on the picture below.